Arnold A. Lazarus, Ph.D., was Distinguished Professor at the Graduate School of Applied and Professional Psychology at Rutgers University. 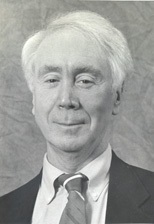 Lazarus served on the editorial boards of ten professional journals. He was president of the Association for Advancement of Behavior Therapy and received the Distinguished Service to The Profession of Psychology Award from the American Board of Professional Psychology. His Ph.D. was granted in 1960 from the University of the Witwatersrand, Johannesburg, South Africa. He has authored four books; co-authored, edited, or co-edited seven; and authoered or co-authoered more than 150 professional papers and chapters. 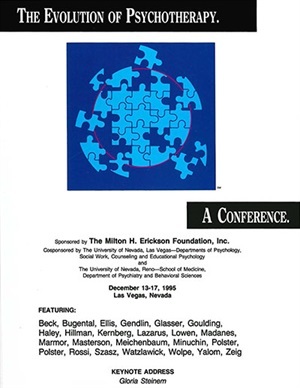 Dialogue 09 from the Evolution of Psychotherapy 1995 - Advanced Approaches to Therapy, featuring Aaron Beck, MD; and Arnold Lazarus, PhD. Panel 06 - Patient / Therapist Relationship Featuring James F.T. Bugental, Ph.D.; Arnold A. Lazarus, Ph.D.; Miriam Polster, Ph.D.; and Lenore Walker, Ed.D. Moderated by W Michael Munion, MA.